This is by far one of the most popular books published in the last year. 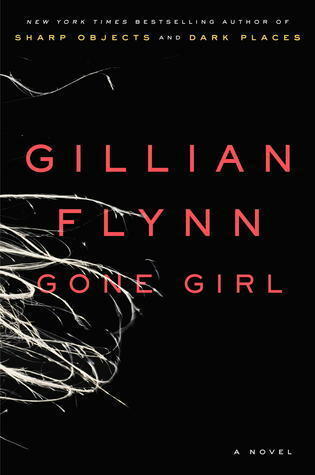 With the insurgence and popularity of twisted thrillers and mysteries, like Gone Girl, it’s no surprise that this novel has received a substantial amount of attention. Read from June 16 to 25, 2015. Rachel takes same train every morning and every evening. Wondering what goes on in the houses she passes everyday Rachel fixates on a couple that she often sees and envisions what their lives must be like, which is obviously much better than the life she is leading. The house she watches is right beside the home she use to live in where she was happily married. That is until she found out that her husband Tom was cheating on her with another woman. That woman, Anna, is now living in that same house with their new born baby. Rachel has not been able to move past the split and drinks heavily. 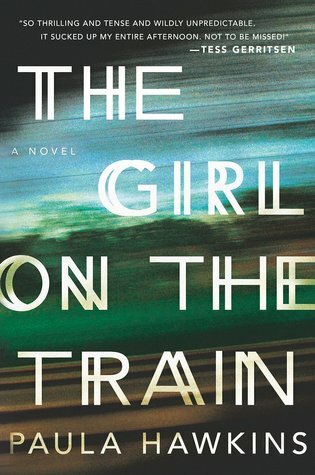 Rachel’s drab life takes a curious turn when the couple she has been watching from the train suddenly becomes the focus of a police investigation as the woman has gone missing. Trying to piece together what may have happened, Rachel gets a bit too involved in the case and uncovers some horrifying truths. Rachel’s life is unbearable and miserable and as a reader, you get to slowly unfold the events in her life that brought her to her current state. It’s tragic. You’ll also get frustrated with the poor choices that Rachel continues to make in her life. However, despite her sadness, her story is extremely compelling; the novel slowly releases set segments of Rachel’s life in which you are pressed to read on just to find out what happened to her and what goes on during the nights she has had too much to drink. In addition to Rachel’s problems, the additional driving forces of this book are the other characters. As you get to know Anna, Tom, and the couple, you are just as enthralled with their own unique lives and how they interact with Rachel. This book really shows that not everything is as it seems. Especially with people. That appearances are deceiving and that even the most loving couple has their secrets and troubles. The ending was one hell of a surprise and was successful in stumping me completely. All I will say about the ending is that it’s extremely satisfying and that readers will not be disappointed. 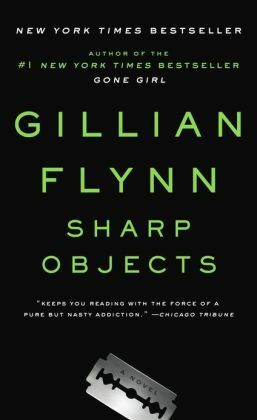 In terms of recommendations, mystery lovers should definitely take a look at this book but I would also say that anyone who is a fan of Gillian Flynn and her books (Gone Girl, Dark Places, Sharp Objects) will definitely take pleasure in reading this novel as it has the same dark vibe and feel and her novels.